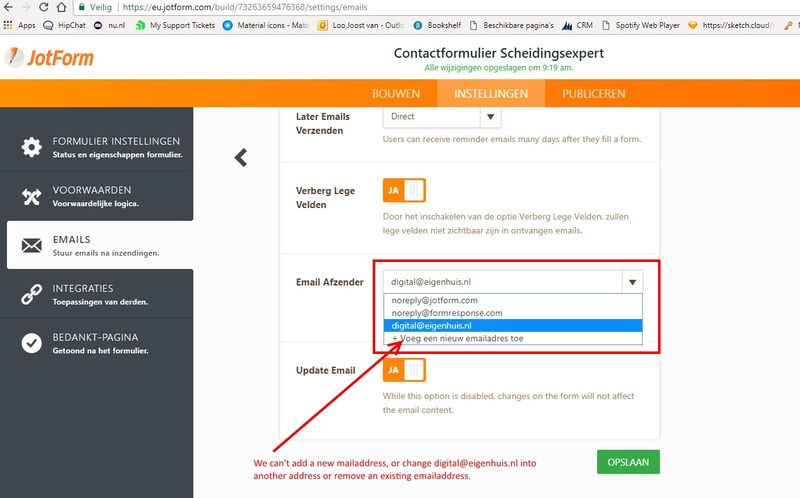 We have created a form with two emailaddresses and after clicking on the submitbutton we send a confirmationemail to the two emailadresses. The address of the sender of the confirmationemails is wrong. We want to change the existing emailaddress into a new one. But ... that doesn't work. Clicking on the + doesn't work, so we can't add a new address.